With the continuous development of the world economy and improvement of people's life quality, the demand for maize (corn) is no longer only to solve the problem of food, but to process nutritious maize flour (both coarse and fine). 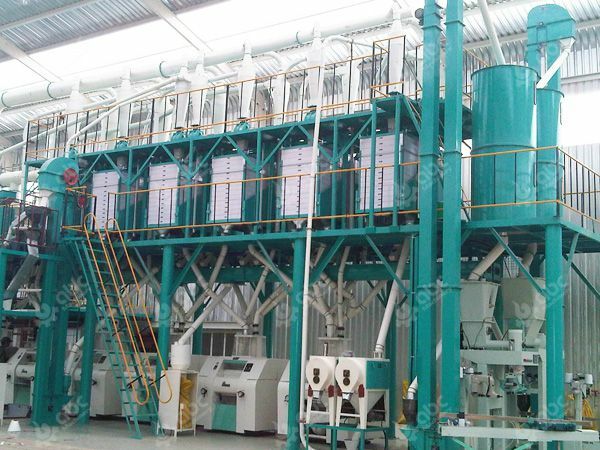 Maize milling machine is the right machine that can make coarse maize into different fineness flour to meet the people's pursuit of food diversification. In the continuous development of maize milling machinery, their structure design becomes more reasonable, more compact, more ergonomic, which in consequence reduces the production cost of corn processing, reduces the covering area of corn milling machine, and improves the production efficiency of the corn milling machinery. 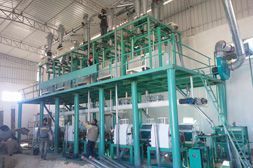 With the intensification of market competition, enterprises pay more attention to the production efficiency of equipment; therefore, the improvement of maize milling machine production efficiency can bring more benefits to maize milling enterprises. We can also draw a conclusion that high efficiency is one of the future development directions of maize milling machinery. With the continuous development of production technology, users require more on the functions of maize miller machines. This requires maize milling machine manufacturer and supplier to constantly upgrade equipment functions to meet the diversified needs of users and enterprises. As the maize milling machine scale becomes larger and larger, it also provides a guarantee for the development of maize milling machine. 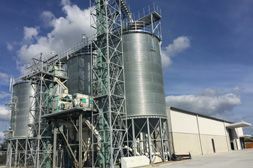 In the future, the maize milling machinery will continue to develop in the direction of large scale. Corn milling machinery has been widely used in various fields. Maize can not only be processed into flour for human consumption, but also make livestock or poultry feed, use as industrial raw materials and so on. 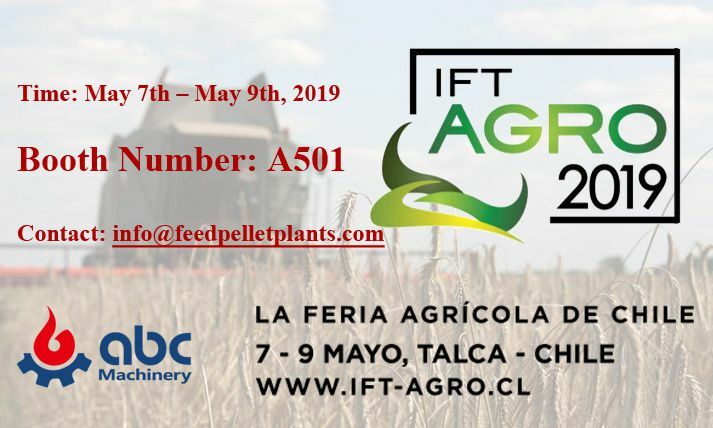 The processing and utilization of maize milling machinery has promoted the development of animal husbandry and accelerated the pace of industrialization in the world. The development of corn milling machinery has improved the overall development level of the corn products industry in the world, and improved the traditional way of eating. It is of great significance in daily life and has a broad market prospect. If maize milling enterprises want to save more cost, they shall not only buy reliable quality corn milling equipment, but also pay more attention to corn processing machinery maintenance. The installing environment of maize miller machine must be suitable, and shall be placed in a more stable place; the surrounding environment should be clean, dry, ventilated. In the use of corn processing machinery, before the start of the machine, first check if there is debris in the host cavity; before comminuted, the maize material must be checked to make sure no any impurities allowed to be mixed, so as to avoid damage to the maize milling machinery. Regular maintenance of corn milling machinery can improve user’s economic efficiency. When the maize milling machinery is running, there often leaves some impurities in the dead corners, which become very difficult to clean up. As time passes, these impurities will cause worse wear of corn milling machinery, resulting in the lowered quality of maize flour. For some dead corners of corn milling machinery and other parts that are difficult to clean up, users must clean them up in a reasonable way. In the use of maize milling machinery, operator shall regularly check if the hold-down nut of the movable disc is loose, and all fastening parts must not be loose. Check the screws in the fixed disc of maize milling machinery. Before starting the machine, proper lubricant shall be injected, and the number of refueling should be increased properly for continuous work. It is necessary to replace the lubricating oil after cleaning the main bearing cavity of the corn milling machinery. Specific maintenance measures should be carried out when using corn processing machinery.